Scandal: What is the Shonda Rhimes TV show filming schedule like? What Is It Like to Film Scandal? 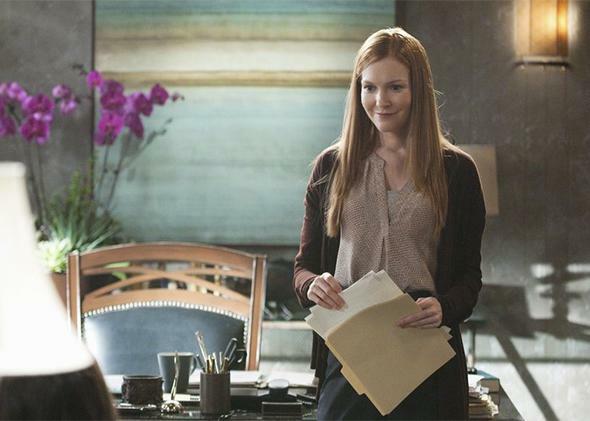 Darby Stanchfield as Abby in Scandal. The schedule is a crazy-grueling for Scandal. That being said, we all love working on the show so much, the material is so fun, and the crew so great that it’s much more manageable than if we were a miserable bunch. It takes approximately 10 months to shoot a full season of Scandal. That’s 22 episodes. It takes nine to 10 days to shoot each episode. The first and the last days of each episode are doubled up with another episode, so we have two full camera crews working on the first and the last day of each episode. Each day is on average 12 to 15 hours long. We have Saturdays and Sundays off, but most often we don’t wrap on Friday night until the wee hours of the morning, and the Monday morning crew call is often very early, so the weekends are pretty short. For the actors, over the weekends, we are often memorizing more lines and often doing press, so the weekends can fill up with work pretty fast. There are union rules in place, so there has to be an allotted “turn-around time” for the crew and actors after the work day is finished. This creates the effect of starting off the work week very early. So Monday morning is typically a 6 a.m. crew call. Actors as well as the hair and makeup teams will come in at 5 a.m. to get us ready for shooting. After an early Monday morning call, and because of the 12-hour turn-around time, Tuesday’s crew call will naturally be a little later than Monday’s, and so on. By the time Friday rolls around, the crew call can typically be roughly noon to start work. But that means the workday won’t be finished until 2 a.m. or 3 a.m. most likely. Add on top of that, every script has a different storyline, so the locations vary. Sometimes we are at the stages in Hollywood; other times we are in Pasadena or downtown L.A. or some other location. The actors needed each day drastically varies, too. Sometimes it’s just two or three actors all day, or sometimes it will be a huge scene where there’s an inaugural ball and you have a 100-plus extras all in black-tie dress. Add in a special effect like a bomb exploding and the day can turn into a 15-hour day. Needless to say, no single day on Scandal is alike! Scandal: What is the atmosphere like on the set of Scandal (TV series)? Entertainment Industry: How hard is it to start your own talk show? Scandal: What are the main struggles women face when building a career in film and television?